Provides protection over full beam line (as supposed to specific location in the facility) – preventing any potential beam induced damage going unnoticed. 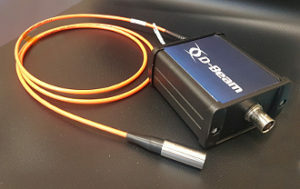 Provides potential of localization of origin of the beam loss with a resolution down to up to 10 cm – which allows tuning accordingly to the localization of the loss. The system is completely insensitive to magnetic fields and neutron radiation. 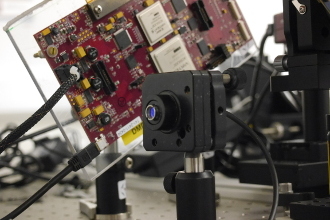 based on optical fibres have been developed in the QUASAR Group that can replace conventional lens-based system. This allows avoiding alignment, degradation and aberration errors. Whilst off-the-shelf components can be used, the combination of the best components requires a detailed understanding of signal generation, transfer and detection processes. 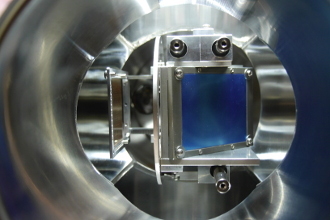 for particle detection and beam loss monitoring applications have been developed. 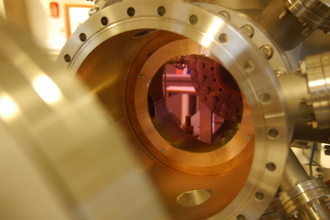 They are based on the generation of scintillation and Cherenkov radiation in different types of optical fibres and cutting edge photo detectors, including SiPMs. This includes radiators for high current/high beam energy applications, as well as highly sensitive radiators for low intensity beams where a small number of particles need to be detected. for displacement, vibration and velocity measurements has been successfully used by the proposer with solid, fluid and gaseous targets. As compared to measurements carried out by other groups, the accessible velocity range was improved by at least one order of magnitude and can be further improved by enhanced electronics (signal amplifier). The sensor provides a reliable, low cost and robust solution that can be used in even the harshest environments.